Many things happened in 2017, but the in the design world it marked the centenary of the birth, and a new appreciation of, Ettore Sottass; founder of the Memphis Group. Suddenly, his boldly coloured, often-laminated and unapologetically post-modernist pieces of furniture started popping up in all the style bibles, and it was discovered that David Bowie had a huge collection. Millennial pink, which Sottass favoured, became the ‘it’ colour. 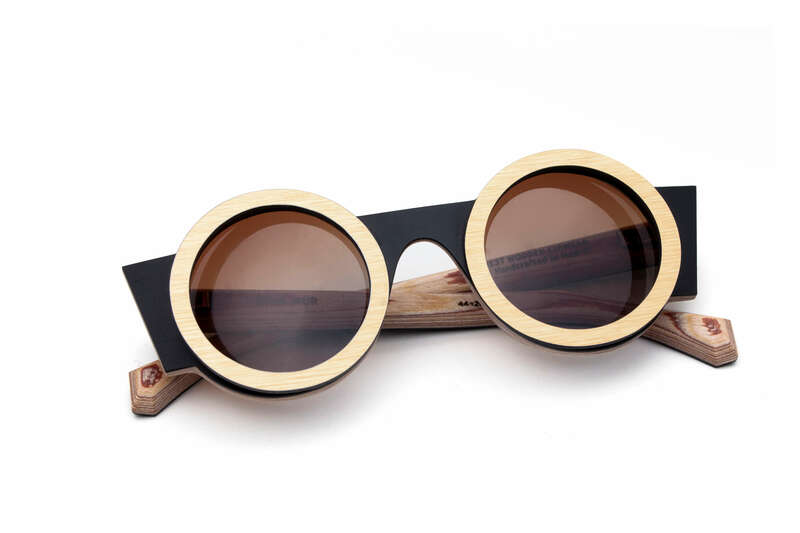 A lovely homage to Sottass’s legacy has come in the shape of this new collection from Nina Mûr – Madrid-based makers of cult eyewear. 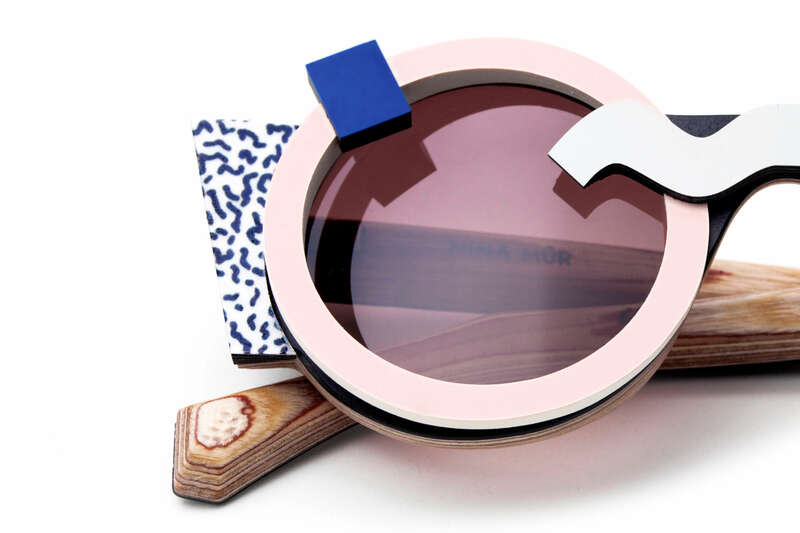 This new collection presents glasses that are more like small sculptures for the face, and feature surfaces treated with plastic laminate, a method used by the Memphis group (which included Spain’s own Javier Mariscal) to create stunning colours and textures that, in design terms, defined the 1980s ‘more is more’ ethos. Geometric lines and snazzy patterns also form part of the collection’s architecture. 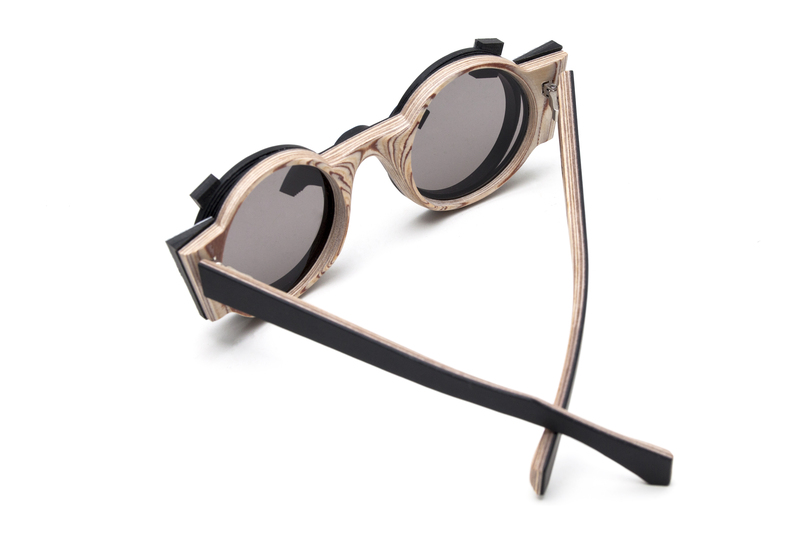 The frames themselves are made of laser-cut Finnish Birchwood, and each intricate component is hand-finished and assembled in the company’s Madrid workroom. Twenty-seven layers of wood are joined together with phenol glue into a curved mould during a process that takes 16 hours. 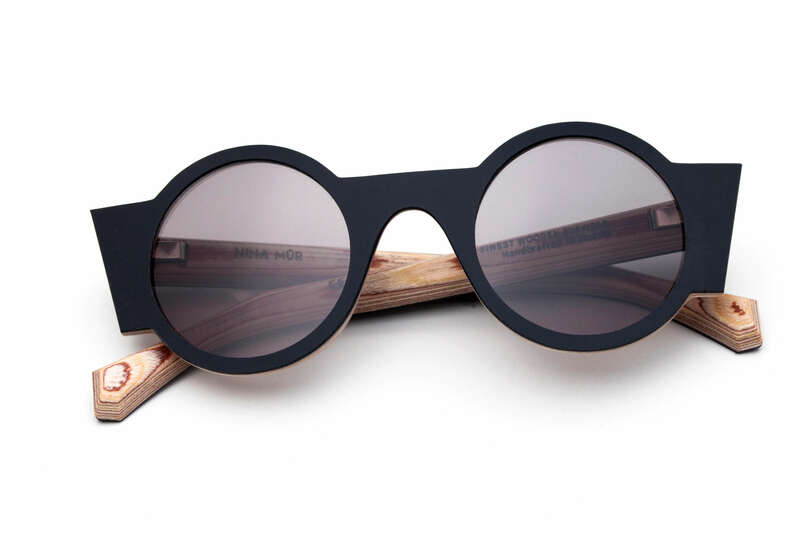 These frames are extremely resistant and the wood grain is visible. 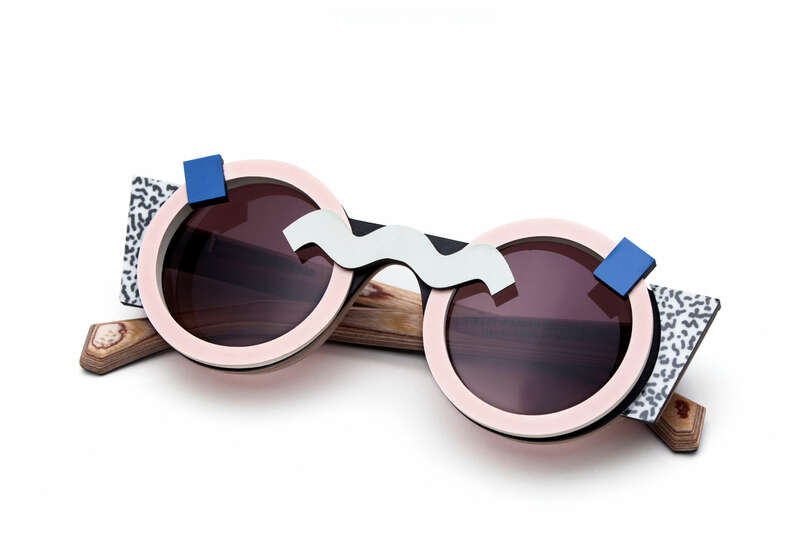 Together with the designer Gala Fernández, Nina Mûr has previously created a special collection of Cubist eyewear inspired by the painting ‘La Mujer Sentada’ by Juan Gris for the Thyssen-Bornemisza Museum in Madrid. The full range can be seen (and bought) on their website, with prices starting at around 200 euros.